When it comes to the drum and bass scene, the first artist that usually comes to mind for me is either Sigma or Netsky. 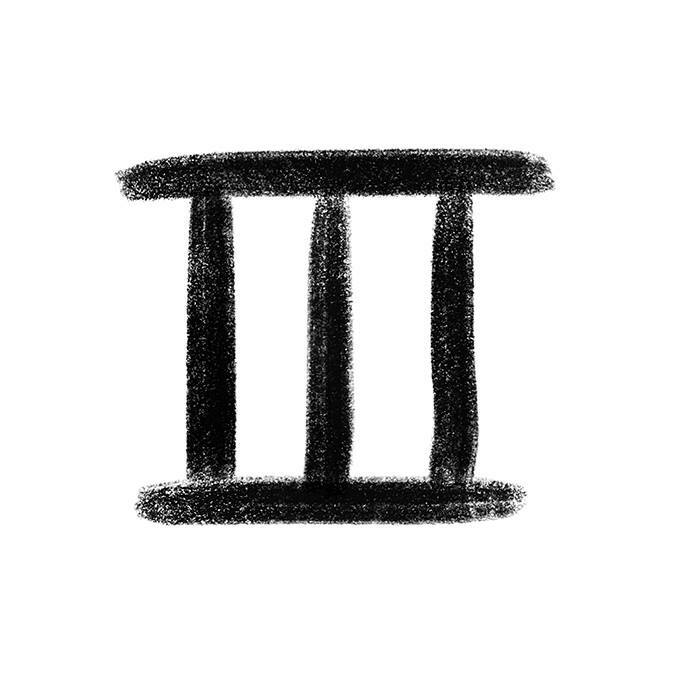 But as this title suggests, this is not a review of Sigma, today I’ve decided to review the highly anticipated third album by Netsky. For me, I only got to know about Netsky after the start of the new year when I heard ‘Rio’ which features Digital Farm Animals. The chilled out vibes and the slower tempo, combined with the DnB made for a quaint mix which I personally liked, a lot. It was not until I discovered ‘Work It Out’ which also featured Digital Farm Animals, that I actually became a fan of his music. It was certainly a departure from my usual tropical house and cheese vibe, but I liked it. I’ll try not to talk about every song..
To kick things off, Netsky partners up with Emeli Sande to produce ‘Thunder’. Starting with a string based instrumental introduction, it was an immediate cue for me to continue listening. In fact it became one of my favourite songs on the entire album. Emeli’s vocals were perfect for this song. I was glad to see that ‘Work it Out’ and ‘Rio’ were on this album because they were the first songs that made me a fan and so to see them on his third studio album made smile. ‘Leave it Alone’ was an interesting song which I found to be very funky in its approach. The backing vocals reminded me of ‘Higher’ by Sigma, but when the beat came in after the intro, I knew I’d like this song, and it certainly did not disappoint. But what surprised me the most was the next song. ‘Who Knows’ was certainly a surprising package. The mellow vibes along with the combination of string instruments and Paije’s vocals (which reminded me of John Newman) made for a beautiful song. ‘TNT’ was a departure from Netsky’s usual vibe. It was funky, it was something that I really got into. I think the vocals by Chromeo assisted in adding a certain degree of funkiness. No complaints though, I really like Chromeo as an artist and so to see them back is a welcome thing to see. Whilst looking for music, I’ve been gathering lots of songs which I’ve found to be chilled in its approach, and I found a new songs to add to my list in ‘Who Knows’ and ‘Bird of Paradise’. In ‘Bird of Paradise’, the beautiful mixture of ambient noises, string instruments and piano, juxtaposed with the drum and bass beat makes for a wonderful combination. ‘Go 2’ showed promise. I could just about grasp a beat to the song. But it’s not something that I would say I enjoyed. Instead lets just say that it left me confused. Some songs that didn’t seem to hit the right chord with me were ‘Stay Up With Me’ and ‘Forget What you Look Like’. With these though, they’re not necessarily bad songs. They are in fact pretty good. They have the standard vibe that you would expect of a DnB-based album. However, I feel this is one occasion where releasing instrumental versions first followed by the release of the versions with vocals as ‘remixes’ might have made me enjoy it a lot more. I can certainly get into those songs, I just think I would’ve enjoyed it a lot more if it had been released as an original mix and a separate vocal remix. Something that is commonplace in the music industry, especially when it comes to EDM. The verdict from me personally is generally positive. I’ve criticised a few songs (sort of). Just like most EDM these days, there has been a shift in what can be considered ‘mainstream’. I’ve seen DnB evolve with that shift. From liquid DnB to just full on dirty DnB, you will always find something that you will enjoy. The thing I saw with Netsky was that there weren’t moments when the quality of the album peaked or troughed. Instead, it remained consistent. His style always shone through which is what we generally expect. We want more, but we want their type of more. The only gripes I had were based on my own confusion or what I would consider to be a better way to release the tracks. This certainly does not mean that it was flawless, but putting all my little gripes to one side, I will put my hands up and say that I loved this album.